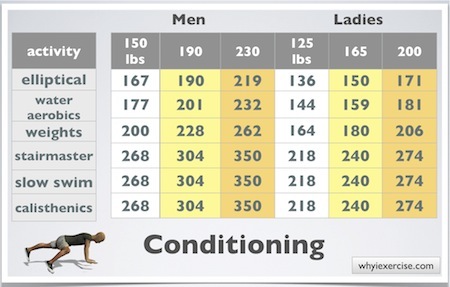 Compare 30 exercises and physical activities. Comparing the calories burned during exercise can help you pick activities and plan workouts that help you lose weight faster. Below you can choose from activities including walking, running, sports, home activities, and conditioning exercises. You’ll see the difference in calorie burn between slow-paced and more vigorous physical activities. 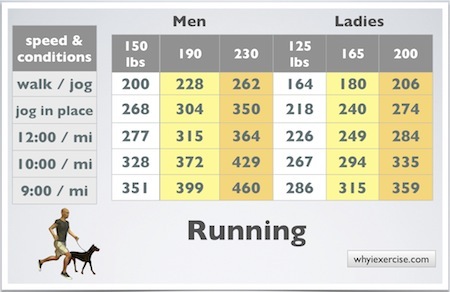 Calories will vary depending on your size and gender, so the charts below include 6 groups, composed of men and women in 3 different weight classes. 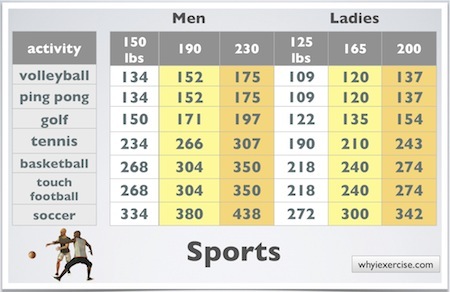 Body weight for each group is shown in the chart. 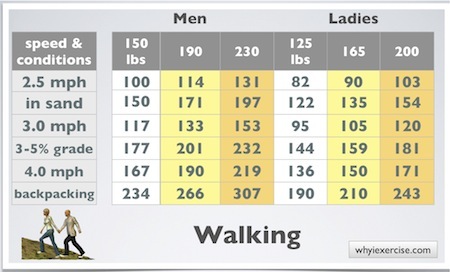 Note: Calories shown in each chart are for 30 minutes of exercise. Simple changes in your walking routine can make a big difference when it comes to burning energy. You can increase your calorie burn by 50% (when compared to flat surface walking) by walking in sand or by setting your treadmill at a 3-5% grade. Increase your pace from 3 to 4 miles per hour and you’ll burn 43% more calories. Loading up a backpack for a hiking trip in the mountains burns calories at 2 times the rate of flat surface walking. Calories burned during exercise is not the only factor to consider when choosing your workout. Please pace yourself appropriately at your level of conditioning. If you are a beginner, you should be able to carry on a conversation during the activity. You can choose more vigorous activities as your fitness improves. 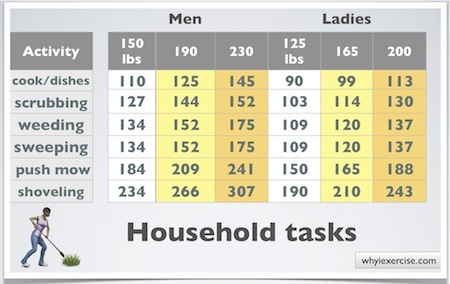 Surprised by the calories you can burn with household tasks? As you can see, it’s possible to get the exercise you need for a day or two from your cleaning and yardwork activities. You can combine the tasks as desired to match the amount of exercise you need for the day. Keep yourself moving (and be safe, of course) for best results. If you only have a little work to do, add extra exercise, like a 15 minute walk, after you're finished. 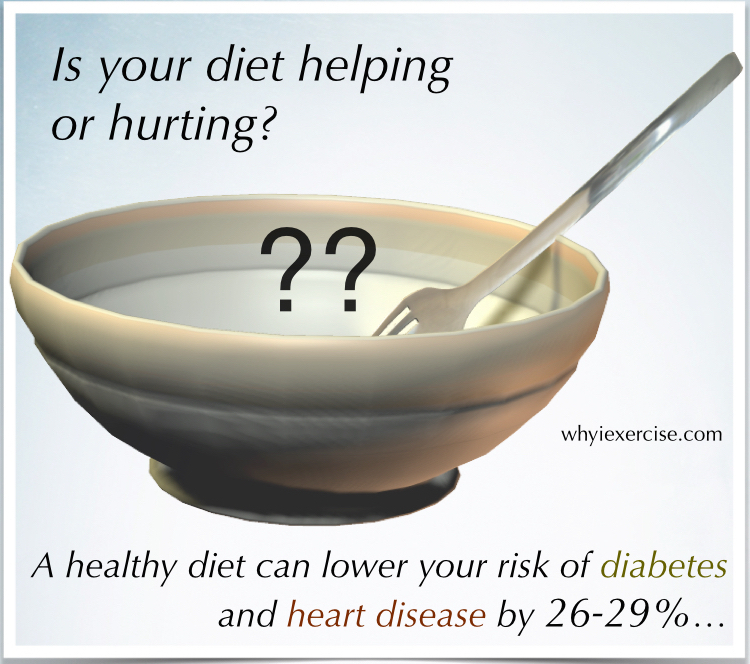 Think of the calories burned on the charts as an average. For example, sweeping the garage can be done at a slow pace, which burns less energy, or it can be done more vigorously, which burns more calories. The differences can be very significant when it comes to team sports, as an easy game of 6 person volleyball is a much lighter workout than a highly competitive 2-on-2 beach volleyball match. Note: Metabolic equivalent and metabolic rate equations were used to determine the calories burned during exercise. The figures were calculated for adults 40 years old. 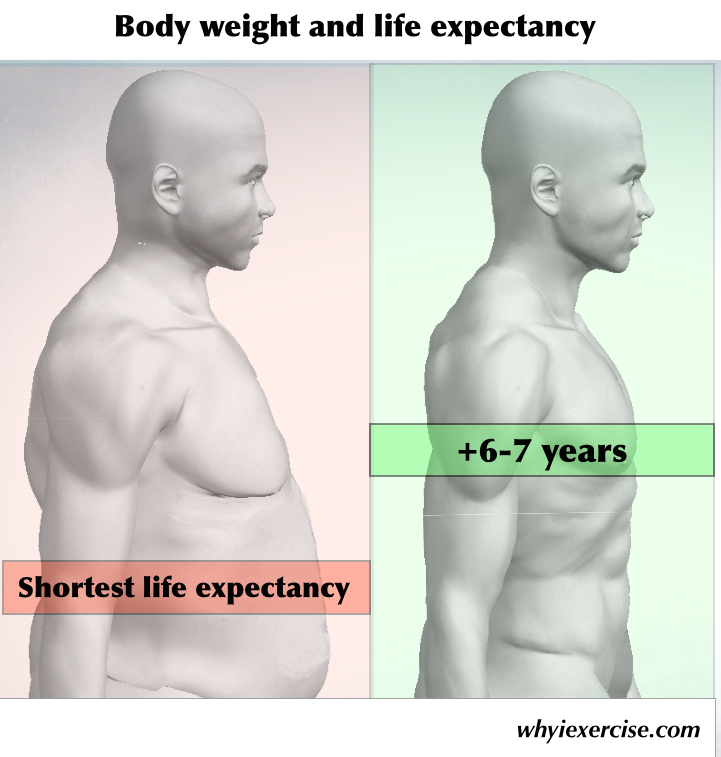 Due to decline in muscle mass, there is a gradual decrease in metabolism with age. For this reason, the calories will be a little bit higher for adults younger than 40 and somewhat lower for adults over 40. Return from calories burned during exercise to weight loss tips.